There won’t be any new content coming to Friday the 13th: The Game, thanks to an ongoing legal dispute over the rights to the original film property. Developer Gun Media founder Wes Keltner announced the studio can’t continue making new things for the game in a forum post Thursday. At issue is a dispute between two of the creators of the original Friday the 13th film. Sean Cunningham produced and directed it, while Victor Miller wrote the script. Miller is attempting to reclaim rights to the property under a provision of U.S. copyright law that allows writers to withdraw a grant of rights to their work and take ownership back, while Cunningham (who currently holds the IP rights) says that Miller wrote the script as “work-for-hire” and therefore has no claim to the franchise rights. Lawsuits can be scary, but not as terrifying as our list of the best horror games on PC. 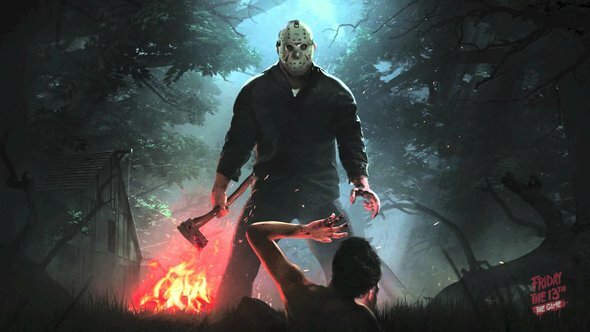 The case is likely to set an important precedent for the U.S. film industry, but what it means for Friday the 13th: The Game is that Gun Media are effectively barred from adding anything to it while the suit awaits its day in court. As PC Gamer reports, “no new content” means no new anything – “Not even a new tree or rock,” Keltner said. Gun Media says it’ll continue maintaining the game and fixing bugs – which still seem to be pretty pervasive more than a year after launch. Still, Friday the 13th had its own weird charm, with players often spontaneously role-playing as frightened camp counselors stalked by Camp Crystal Lake’s biggest hockey fan.